After weeks of national finals and entry reveals, we now know all forty-one songs for this year’s competition. Our Eurovision 2019 Spotify playlist is filling up fast, as most of the competing songs are now available for listening. In our latest weekly update, Russia comes in as the highest debuting entry. Today’s update includes four new entries. Unfortunately, Ukraine is no longer on the list following the national broadcaster’s withdrawal. You can listen via our playlist linked right here. The table above shows the current number of streams for each song as of today, Sunday 10 March. 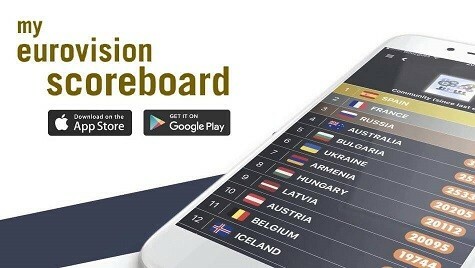 While 32 songs are currently available on the platform, the entries from Lithuania, Montenegro, Georgia, Serbia, Belarus, Ireland, Azerbaijan, Malta and Armenia haven’t been released to the platform yet. Notably, Romania’s entry “On a Sunday” was replaced with the new Eurovision edit and thus we’re combining the total count with the earlier streams counted so far. Italy remains in the lead — and by some distance. The track has accumulated more than 1.5 million daily streams in Italy alone and just hit 30 million plays. Sweden enters the top three with Spain and Norway rounding out the top five. Back in the top ten is Iceland. Cyprus’ Tamta is up five spots at number eleven — looks like the replay function has actively been used! This week’s highest new entry is Russia’s Sergey Lazarev. “Scream” makes its debut at number twenty-three. The other acts debuting on the list are Austria (at 30), North Macedonia (31) and Israel (32). Yeah spotify streams are nice but what about YOUR favourites? Would be amazing if y’all could vote in this poll, it just takes 3 minutes! All you need to do is sending me your points! as 16th march Soldi has 26,487,844 streams in Italy so almost 5 M streams are from outside Italy, that’s almost like the total of the second most streamed song. Supporting Italy from Malta! Ever since the first night of Sanremo, Mahmood became my favourite, not only to win Sanremo but also the Eurovision. His song speaks about his father, who left while Mahmood was still a child. I think a lot of people can relate to this unpleasant experience. Most of the streama come from within the countries though. Like Italy is screamed by Italians, Netherlands by the Dutch and so on. There is a small procentage of streams coming from abroads but its only from fans who have heard the songs. The majority wont stream until after the show. So I don’t know if one should read to much into it. You can tell something about hit potential from the Spotify streams. For instance in Holland, people won’t stream it unless they really like the song. They didn’t stream our previous entries so much, not even close. It’s not like in Sweden where even if you release a turd in Melfest it will end up 1st on the Spotify charts. But considering the fact that the fandom overrated such an awful song from him in 2016, to the point that he finished 1st in the televote and 3rd overall, yet suddenly despise him when he comes back with a much better entry. Mahmood tells honest story of his life and his song is modern. Sergey has a well-done song, but the song is really dated. I actually don’t understand why people continue to spread hate to Italy: most of the views are from Italy, of course it is, like for all the other countries (Netherlands of course which are supporting so much their entry). So what’s the problem? Well I doubt that just Italians stream that song because it has 30 millions streams. There is a big difference. And it’s not like Italians were ok with that song winning Sanremo. If spotify was available in my country I would stream Soldi all day, instead I just use youtube. They say: most of the Mahmood’s streams are coming from Italy. Instead, all of the others? Obviously that streams aren’t a reliable yardstick; but 31.000.000 streams, 51.000.000 views in a month (1.000.000 only today): it’s numbers. I am Irish and I have been streaming Italy, alongside Portugal and Netherlands on repeat on Spotify…Atleast 3 times daily. The problem with the Russian entry I have: it’s a product, not bad but still…I prefer something that comes from the artist’s heart, not so polished, not trying to be perfect…there are more than 5 original songs this year, which is not bad! Wow I did not expect Russia to be that low. Seeing how Spotify isn’t aviable in Eastern Europe it’s not surprising.. I think responsible for half of Israel’s streams! I’m pretty sure the large majority of the streams of Soldi are coming from Italy and Italians obviously can’t vote for his song at Eurovision. So yes again that irrelevant spotify stats. Of course most of those streams are coming from Italy. Italians love this song and that’s great. Soldi was not made for Eurovision. I wonder when will people finally understand that Italy’s situation is completely different, for as much as I hate it it’s undeniable. They should just take us off this chart.